This a book many teens will want to find under the Christmas tree or, since it comes out January 1st, as a last present to open. 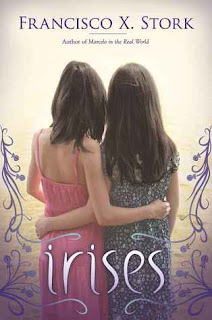 The two main characters in this book are sisters, Kate and Mary. Both are gifted in their own way. Kate is a super student and Mary is an impressive artist, especially with painting. Their father is a reverend whose strict views can sometimes hinder his daughters' dreams. Their mother, due to a horrible accident, was left in a vegetative state with her daughters to care for her. Kate's dream is to become a doctor. Her dream is very real and very possible. She learns that she just might get into her first choice, but one thing holds her back: her mother. With the rather sudden death of their father, the daughters must decide how to care for their mother. The story takes off from there. Kate's character was practical, intelligent, and calm. She is more of the rational one of the two. Mary is gentle, sweet, and clever as well, but she can be more impetuous. Naturally, the two have differing ideas of what to do with their mother. Will the decision tear them apart? The secondary characters play a fairly large part in the story. Their father's death leads to the hard decision concerning their mother. Their mothers; vegetative state forces the girl to decide. Kate's new friend has potential to become more than that...but not while she has a boyfriend. Marys' friends may guide her...too much. The author does a terrific job of forming and interweaving these relationships together. Overall, the book was fast-paced and will hold the readers' attention. The reader may take Mary or Kate's side or even become ambivalent, a great way to engage the reader. The ending was unexpected and interesting. This book is recommended to young adult/teen readers.